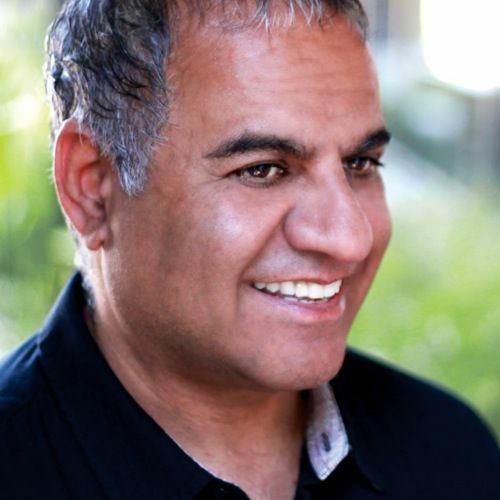 Ravi Sawhney, founder and CEO of RKS Design, helped invent the touch screen (while at XEROX PARC), reinvented the electric guitar, developed the now-nostalgic children’s favorite Teddy Ruxpin, and has designed countless products for clients in healthcare, consumer packaged goods, appliances, housewares, entertainment/audio, consumer electronics and lifestyle accessories. Recently he’s been collaborating with clients to deliver a game-changer in the field of DNA sequencing, helping the blind with an optimized smart phone, elevating the home theater experience, helping sustainable hydration acquire a sustainable foothold, and introducing a revolution in live sound for performing musicians. A design principal, author and thought leader who’s spent more than thirty years at the forefront of product and technology innovation, Ravi is named on over 200 patents and is the recipient of more than 135 global design awards. His Psycho-Aesthetics® design methodology – which Harvard Business Press has explored as a business school case study – is the focus of his co-authored book Predictable Magic, which centers on facilitating collaborative intelligence and leadership to guide success. A contributor on the topics of design, business and innovation for FastCoDesign, HBR.com and Core77, Ravi is the innovator/Jury Chair emeritus of IDSA’s Catalyst case program, championing design’s power to effect positive change in business, in lives and throughout the world. He has been inducted as a Fellow in the Industrial Design Society of America (IDSA), and recognized with an honorary Ph.D. from the Academy of Art University in San Francisco.